With the sheer volume of digital data being generated and stored every day, RAID implementation is a popular topic among both hardware manufacturers and IT integrators who are dedicated to ensuring the integrity of business-critical information. We’ve touched on RAID before (which stands for Redundant Array of Independent Disks), answering the question – Do you always need a RAID card to set up a RAID array? 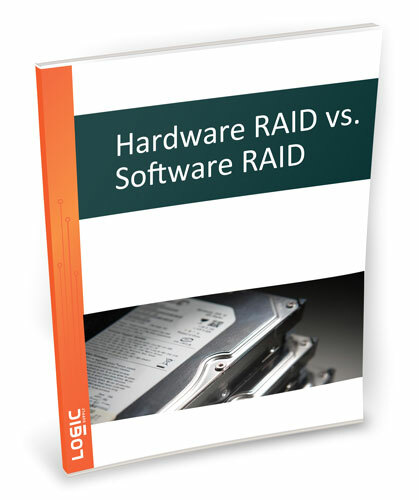 On a broader scale, the question of hardware RAID versus software RAID is one we think merits a bit more exploration. Our new white paper contrasts and compares the cost, performance and ease of recovery of hardware and software RAID options. The conclusion? A great deal has changed in the world of RAID in the last decade, and there’s plenty to consider before settling on a particular RAID implementation.